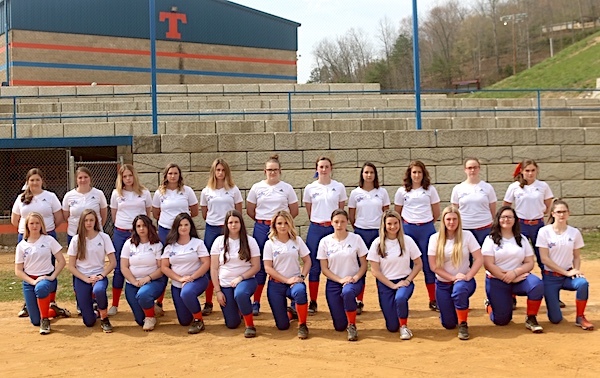 Fort Gay W. Va. — The Tolsia softball team came ready to play and it showed in a 13-1 mercy shortened victory over Hannan as the Lady Rebels picked up win number one on the year. Top Row: Kiara Salmons, Journey Cavins, Sydnee Black, Alice Mills, Isabella Simpkins, Haylee Porter, Jace Litton, Lyndsie Wilson, Hannah Austin, Gracy Hodge, and Cassie Chapman. 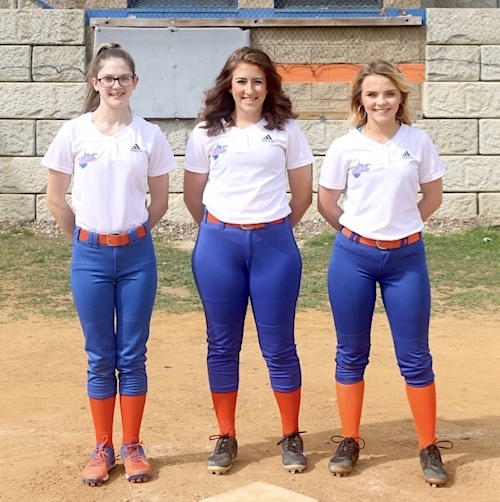 Tolsia scored five in the first as Nina Maynard doubled in Kristen Dean and Kylea Pollinger who both reached via a single, Maynard scored on a passed ball two pitches later, Izzy Simpkins reached on an error and Journey Cavins was hit by a pitched and both scored on a Jace Litton single. The Lady Rebels scored four in the second and four in the third to close out the win. Litton finished 3-3 on the evening, Cassie Chapman had an RBI, Maynard and Simpkins scored three runs each, Dean and Pollinger scored twice, Hannah Austin scored once. Haylee Porter pitched all three innings to pick up the win and she also scored a run.